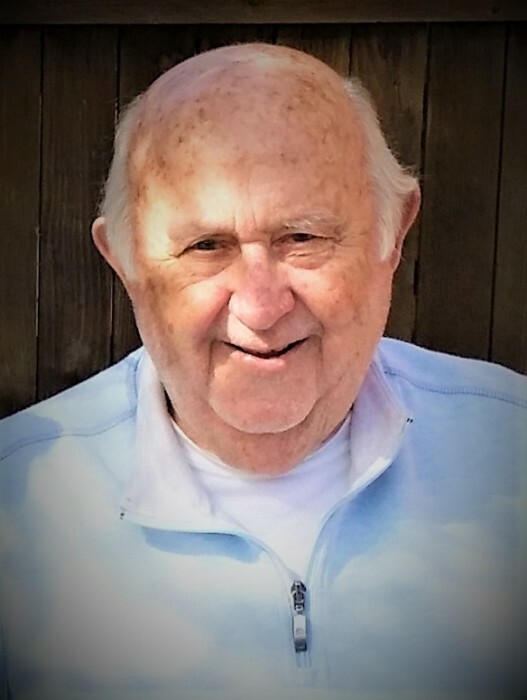 Ray passed away peacefully with his wife, Sandy and daughter, Tracy by his side on March 14, 2019. Ray was a 92-year-old WWII Navy veteran. He was born and raised in Sioux City, Iowa and was the fourth in a family of seven siblings which also included seven older half-brothers. His work with the USDA as a Livestock Market News Reporter brought him to South St. Paul in the late 1960's. Ray and Sandy were longtime residents of Cottage Grove but had recently moved to Woodbury. Ray and Sandy frequently traveled in the Western US and Canada, but especially loved wintering on North Padre Island, Corpus Christi, Texas. Ray took pleasure in lively conversations and had a gift for telling a good tale which often included "creative liberties" but equally enjoyed listening to a good story told by others. No one was ever a stranger for very long as Ray could always find something in common and share a good laugh. Ray was preceded in death by his parents, Charles and Helen; seven half-brothers; siblings, Jim Morgan, Ruth Melentovich, Adeline Uhl, and Al Morgan; and daughter, Cathy Morgan. Ray is survived by his wife Sandy; daughter Tracy Morgan Julian (Roberto); brother Sam Morgan; sister Barbara Meier; sisters-in-law, brother-in-law, granddaughters, nieces, nephews, and wonderful friends and neighbors. Ray was part of the Greatest Generation. He enjoyed his life, family and friends and will be missed by all that knew him. A gathering for friends and family will be held on Saturday, April 27, 2019 starting at 1 PM at the enVision Hotel, 701 Concord St S, South St Paul, MN 55075. Reminiscing will begin at 1:30 PM. Would love to have you share some memories.